Scottish Power and Manweb merged many years ago to form one of the leading energy suppliers in today’s market. Scottish Power supplies gas and electricity millions of homes and businesses in the UK. Contracts for both gas and electricity have fixed prices for the period of your contract. There is a choice of long term and short term contracts. Discounts could be available for those who pay by monthly direct debits. For large businesses, Scottish power offers contracts best suited for your business enabling you to be in control of how much energy you require and when you want it. Green Source energy includes energy from wind, hydro, and biomass can be combined with you supply contract. SP Dataservice Ltd helps energy companies to generate accurate energy bills. They also provide carbon emission readings. Online, Dataservice offers up-to-date data for your meter every half an hour. Scottish Power has an Online Energy Service, which you can register for and it is a secure and straight forward way for you to manage your account. The benefits of having this Service include being able to update details, view and pay your bills, and see the energy use of your business. Scottish Power provides energy advisers and guides online which provide businesses with ways to save energy and money. Other services Scottish Power provide for large businesses are help with identifying excessive energy use and help to stay in line with the new CRC Energy Efficiency Scheme reporting requirements. Scottish Power offers an energy manager; this expert is fully aware of the ins and out of energy in your businesses sector. This professional can help you to achieve your business goals by developing ways to achieve them. By using energy responsibly your business can save money and reduce its carbon. 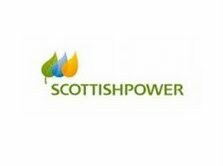 Scottish Power is a part of Iberdrola Group which is one of the largest energy companies in the world. The Iberdrola Group is also a world leader in field of renewable energy; therefore it is in Scottish Power’s nature to also focus on sustainable development. Manweb carries out a lot of research on renewable energy sources and Scottish Power is in ownership of hydro-electric farms which are a widely used source of renewable energy and wind farms around the country.